Are Computers in Classrooms Viable? Students these days fail to realize how lucky they are. Today, we see most kids enjoying air-conditioned classrooms as well as the privilege of using computers to help them make their assignments and reports. Some can even gain access to the web, providing lesser excuses as far as enhancing their knowledge level to get good grades. But yet, a large number of students are failing to live up to the standards despite the presence of computers. With that in mind, are computers helping or totally defeating its purpose? If you look at it, computers should be making studying easier. It is easier to do research and process the paperwork that they schooling require. Yet today, we see failing marks, much of which are surprising despite the ease brought about by computers. Could it be that kids have not been educated on how to use computers useful in line with their studies? Perhaps so. Kids today see computers as a form of leisure and entertainment. They fail to realize the things they can do with them, in this case, research and use them to aid them in their studies. Games and using sites that provide other information that they are interested in are normally what grabs their attention. In short, the proper alignment on how to make use of a computer is an obvious need. So to help computers serve their purpose, guidance and a better directional mode of teaching may be required. If this should be done, perhaps computers can help kids straighten their grades and also improve their educational development and evolvement. One thing about browsing these days, you may want to consider what type of browser you will be using. Normally, the Windows Internet Explorer would be the prime preference, considering it comes in by default with most Windows Operating systems upon installation. But if there is one thing you have to note, Microsoft will always be prone to security flaws and apparently there is one that has reportedly infected over 2 million computers today. 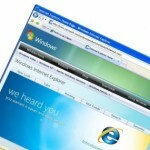 More than two million computers worldwide have been infected because of a major security flaw in Microsoft’s Internet Explorer web browser, the software giant admitted today. The problem, first revealed last week, allows criminals to hijack computers and steal passwords if the user visits an infected website. As many as 10,000 sites have already been compromised to take advantage of the flaw, according to anti-virus software producer Trend Micro. So far the websites, mostly based in China, have largely been used to obtain computer game passwords which can be sold on the black market. We are all aware that there are usually updates or patches sent out by Microsoft to its valued users. But timing is always essential. If you are late in attending to such a problem in security, that is a wide opening that a hacker will need. In this case, it is more of stealing gaming passwords that was the main agenda to which they profit by selling them in the market. That is only the lighter side of things. Imagine these hackers being able to get their hands on other sensitive information like bank account or credit card numbers. The thought alone is scary and though we are aware that such activities exist, isn�t it wary to find out that Microsoft�s very own Internet Explorer can be made the bridge of it all? So if you are using Internet Explorer at the moment, it would be wise to try out other browsers such as Firefox for the meantime. This is only temporary and knowing Microsoft, they will have this issue resolved in no time. When you are planning to share an Internet connection at home a WiFi router is your best choice to get the job done. 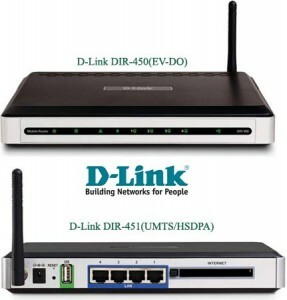 You don�t actually have to tinker around with configuration although some people would make sure that the only computers to access the Internet through their router would be the ones configured with passwords and gateways as supplied with the said router. But if there is one thing you have to consider is that it would be best to place routes on elevated areas. If you have a two-storey house, place it on the second floor so that it can have better coverage as far as Internet access is concerned. Some would be fine with having routers on the ground floor since that is where the main source of accessing the web is connected. But the matter of coverage of the Internet is something that may be of concern especially for large places to which limitations on accessing the web is concerned. With that in mind, placement of routers is still essential as far as maximizing your airborne Internet access is concerned. Locate them in proper areas so that you can get the best coverage as far as where to access the web in any part of your home. Besides, most of the people in your household are bound to want to access the web wherever they are. Expanding and practicing proper logic on how placement impacts Internet access is the best way to get your router�s worth. At times, you may encounter a blank page on your browser. Now the initial problem is you would think that your network connection may be acting up. In some cases, that may be so but in other instances, you may also want to check out if other factors such as software or actual Internet provider options have something to do with it. In cases of software, it may be a case when you activate firewalls for added protection. There are configurations you have to check out such as the outbound protocols and the blocked programs that access the net. Now the lesson from it all is that make sure you only configure your software in a way that you understand it and avoid playing genius. Sometimes, making quick declarations such as blocking an unknown command from a program can affect your Internet access altogether. Check the provider by phone. You can always call them and ask if you have connection issues in your area. Apparently, this cannot be avoided since unforeseen events such as storms or even maintenance issues may require them to temporarily cut their service. That is purely a case where you cannot do much about. There is also the usual restart option. 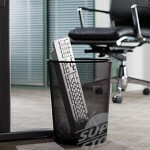 At times, your computer may be susceptible to overload and possible hackers trying to hijack your PC. Now if the load is too heavy, system resources are bound to fly off the roof. Try to restart it if it helps. 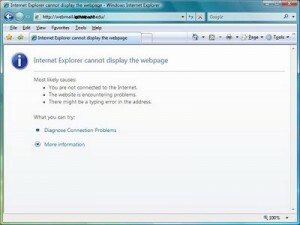 If not, the problem is really not only in your PC but perhaps the connection from outside itself. If you are a parent who has issues as far as keeping your kids at home, get them a computer. One thing that makes kids go out often is that they are bored or have nothing to do. Normally with a computer, you can do business and personal things. Of the two, the kids will surely be wanting to discover new things such as games, browsing and of course advanced applications. In a manner of speaking, you may call computers as saviors for people who want their children at home. But while that may be the case, you should still put a certain degree of discipline as far as time spent on the computer and when to rest. These days, kids tend to get too enthusiastic with technology that they spend most of their time on them and forget to do things such as chores and sleep. A good side to it all is that you can be assured that they are safe under your wing. No more worries of wondering where they are or what time they will get home. Indeed, computers seem to be the lesser of two evils. Computers can be lifesavers compared to leaving your kids out in the streets. Games and the Internet has kept most kids at home. Especially for the latter, technology such as instant messaging or chat allows them to communicate with their friends as well. Some may even meet new people and at least when they do, it is safer knowing they are meeting through a computer. Just be sure not to give out personal information though.